Well, it’s Christmas Eve. What better way to spend it than by talking about Rankin Bass Christmas specials? Though Rankin Bass Productions didn’t only produce Christmas specials, these are what they are most known and remembered for and let’s be honest — this is where they excelled. 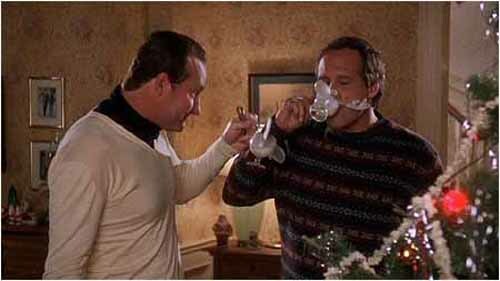 Sure, they put out some other enjoyable movies and specials, but there was a special spark to their Christmas output. 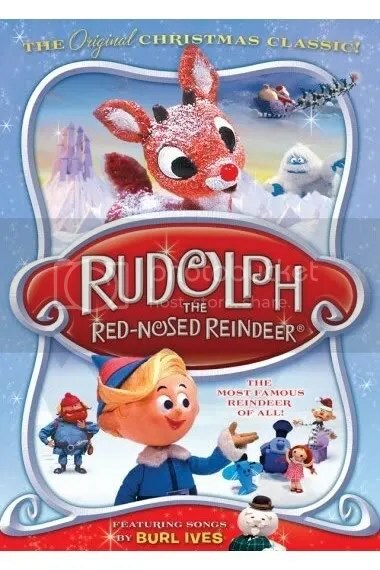 It all started in 1964 with Rudolph the Red-Nosed Reindeer and ended (?) with Santa, Baby! in 2001 (which I haven’t seen yet). Here’s my personal top five. 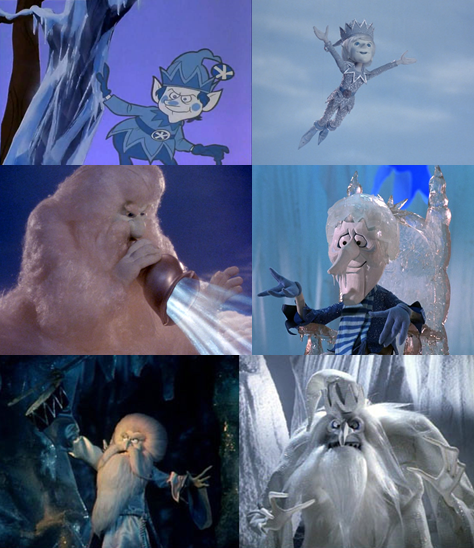 One of the greatest television stars of all-time made his debut in this special and yes I’m talking about the Snow Miser! So, this one making the list was a no-brainer. 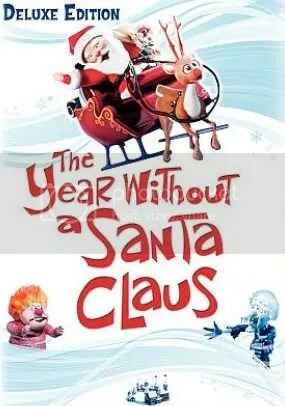 Soundtrack is great took featuring the classic Snow Miser and Heat Mister themes. The first special of Rankin Bass’ “Big Three” to make my list (Frosty the Snowman and Rudolph the Red-Nosed Reindeer complete the “Big Three”). For a long time, I didn’t care for it. 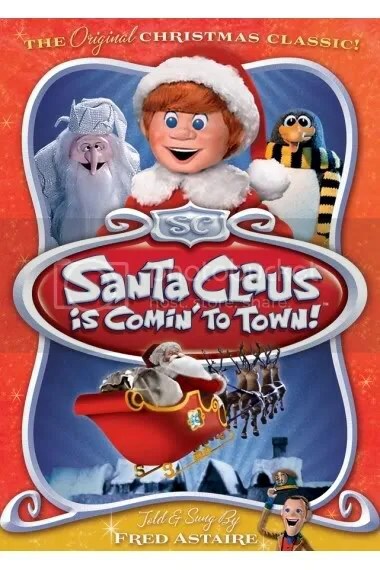 I think I was put off by the fact that this was an origin story for Santa Claus but I’ve come to enjoy it a lot over the last few years. I love the Winter Wizard! 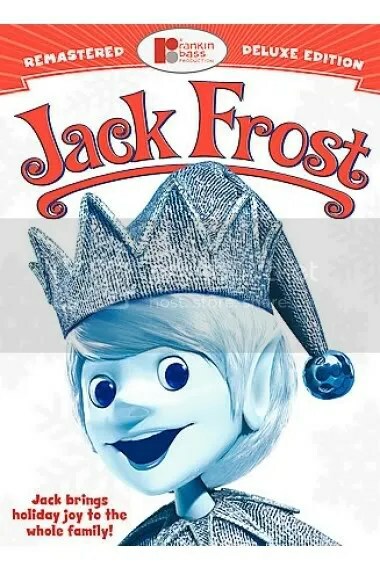 No, this isn’t the Michael Keaton movie and it isn’t about a killer snowman either — this is the original Jack Frost! It isn’t as fondly remembered as some of RB’s other specials, but maybe that’s because it was released in 1979 and it somehow falling into the public domain (it’s been featured on tons of low-budget DVDs over the years). Warner Bros. finally gave it a proper restored release, but no matter how you watch it — it’s a great tale. Believe it or not, it’s actually a love story! 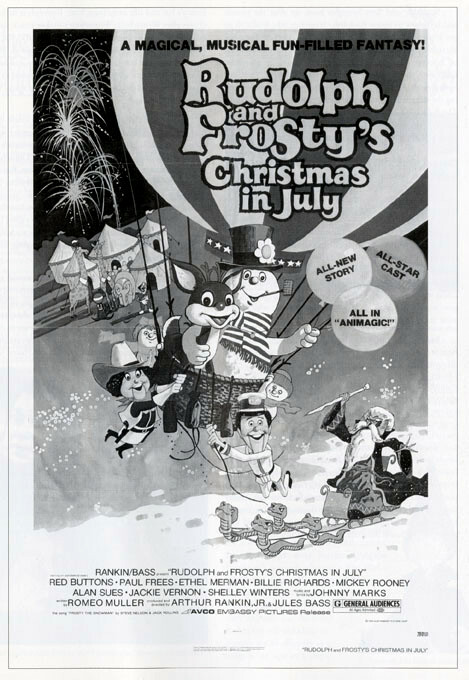 I prefer Rankin Bass’ signature “animagic” stop-motion over the traditional hand-drawn animation style, but there’s no disputing Frosty the Snowman‘s place in the pantheon of Christmas specials. How could you not love a Christmas special that made “HAPPY BIRTHDAY!! !” appropriate for the holidays? Was there ever any question? It’s the greatest Christmas special of all-time! There’s so many great songs and great quotes and it set the tone for all future Rankin Bass specials. It continues to inspire and delight people of all ages. 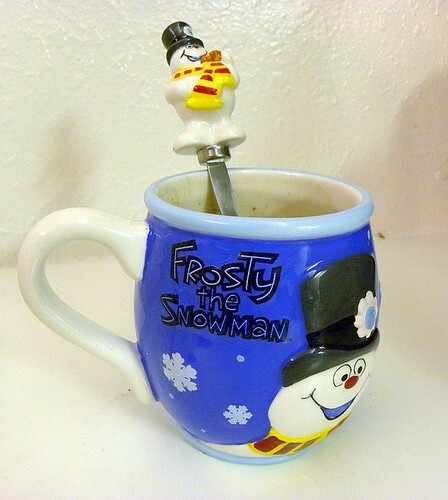 Christmastime is here and I’ve got the Frosty the Snowman cocoa and mug to prove it! I have to be honest, despite all the Halloween madness of the previous month, my mind was already drifting towards Christmas in October. 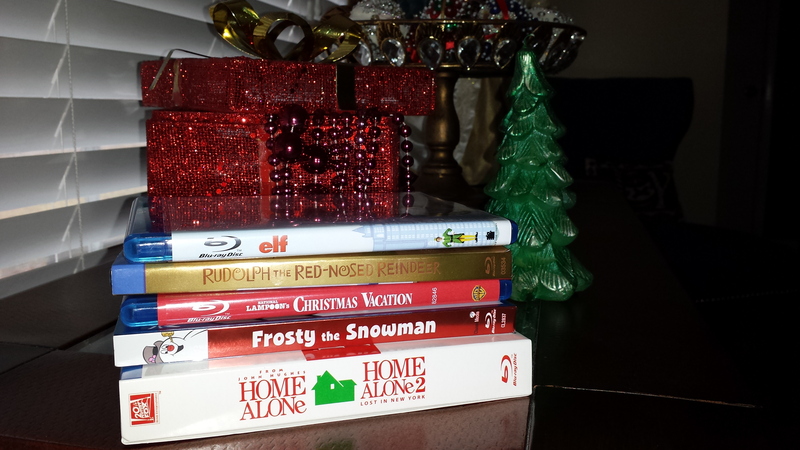 Since November 1st, my brain has gone into overdrive thinking about Christmas. Just this week alone I went to see Trans-Siberian Orchestra perform and then I bought their latest album Night Castle plus I picked up Rob Halford’s holiday offering Halford III – Winter Songs (yes, even the Metal God has a soft spot for Christmas). 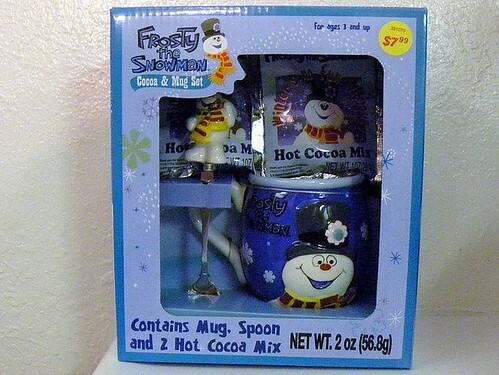 Frosty the Snowman Cocoa & Mug Set! 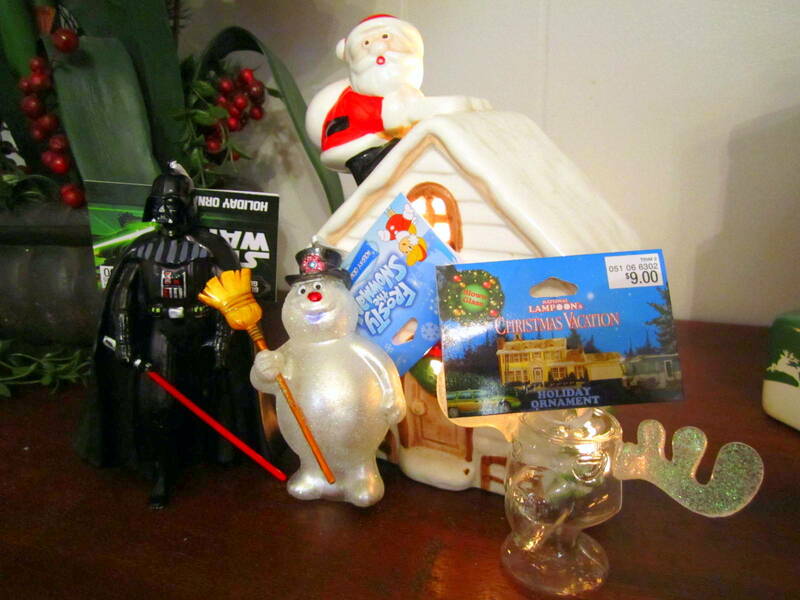 Yes, it is amazing to look at and yes, it is available for the 2009 holiday season at the low, low price of $7.99. I was tempted to open this bad boy up last month and discuss it, but I didn’t want to ruin the Halloween groove. You have no idea how hard it was to resist, but November 1st starts the Christmas season as far as I’m concerned so now is as good as time as ever! 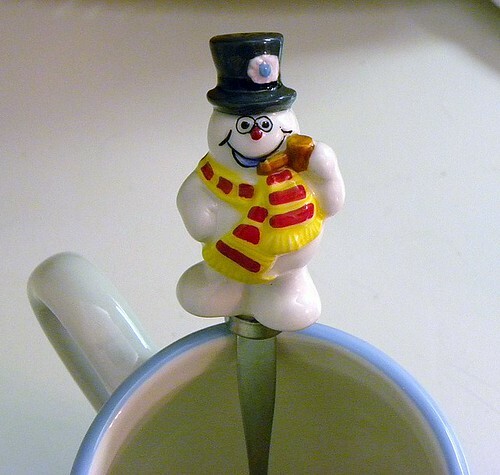 Truer words have never been spoken, Frosty. As for the cocoa itself, it’s actually really good. 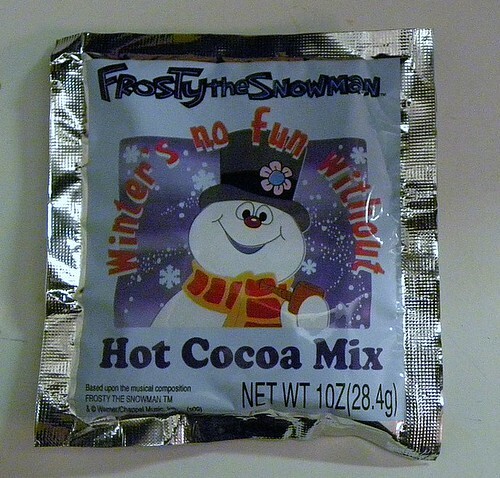 Some novelty cocoas are either too sweet or taste like all you did was heat up some water but this Frosty cocoa has a great dark chocolate taste with just a perfect hint of sweetness. It’s like drinking from a fondue pot of Hershey’s dark chocolate! 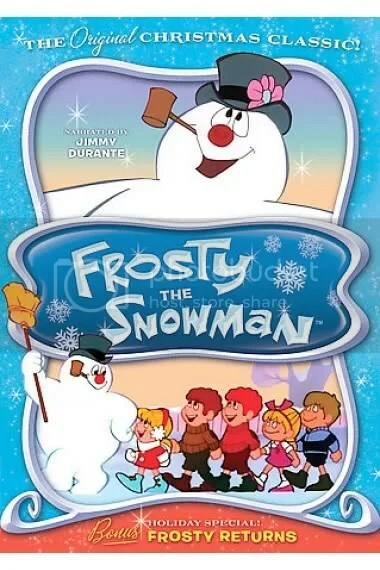 At $8, this is definitely worth picking up for fans of the old Frosty special and Rankin/Bass fans in general. 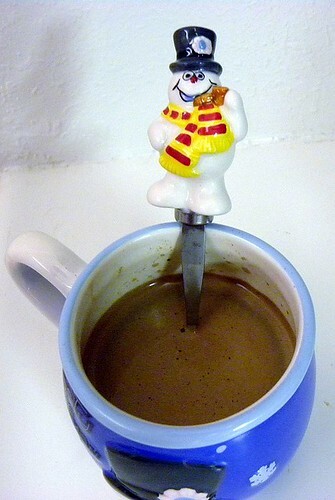 It’s a great way to kick of the Christmas season and it’s my first cup of cocoa of the season as well!